CEDAR CITY — Iron County voters saw few surprises when the election results were announced late Tuesday evening. All of Iron County’s county-level races were either unopposed from the beginning or had already been decided in June’s GOP primary. 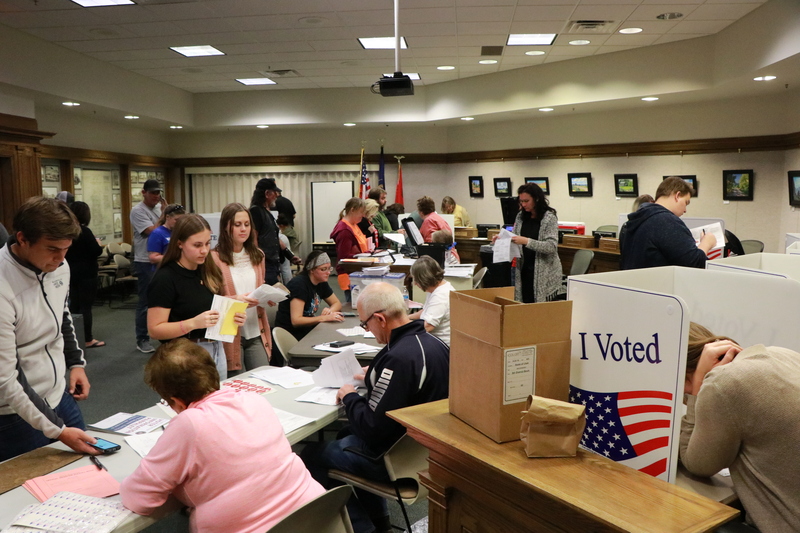 Still, there appeared to plenty of interest in the midterm election, with an estimated 54.75 percent of eligible voters casting ballots in Iron County. According to the unofficial totals released Tuesday night by Iron County Clerk Jon Whittaker, 11,410 ballots were cast by the county’s 20,840 eligible voters. Of those, 10,498 were submitted via mail, but another 912 were cast in person Tuesday. Update Nov. 10, 7 p.m. The Iron County Clerk’s office released updated vote counts Friday, four days after the election. According to the new figures, a total of 14,405 ballots were submitted via mail. That number, along with the 912 in-person ballots cast Tuesday plus another 736 provisional ballots that were validated, means that the countywide voter turnout was 77 percent (16,053 out of 20,840 registered voters). Note: none of the outcomes of any of the races listed in this story were affected by Friday’s updated totals, although the victory margins and percentage totals in several races did change somewhat. Click here for an electronic copy of Friday’s updated summary report. Update Nov. 15, 10 a.m. 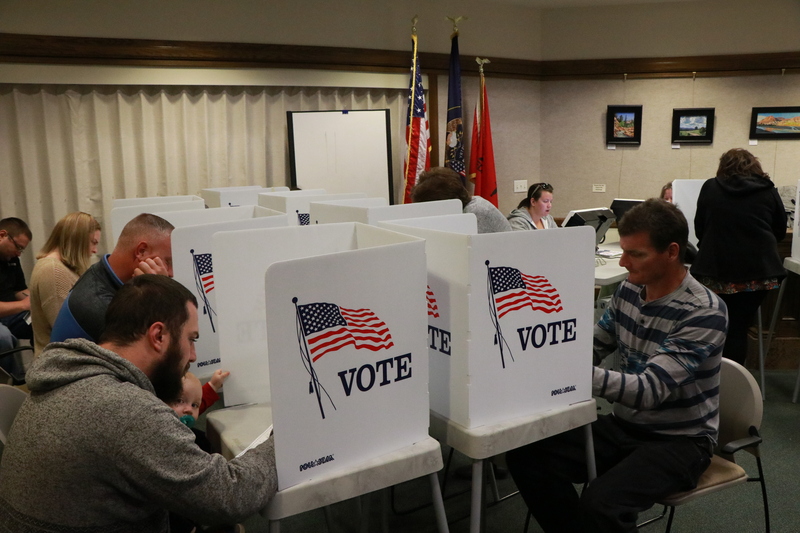 The final vote canvass was conducted Tuesday, Nov. 13. Click here for a summary report of the official final totals for each race. At the main voting center at Cedar City’s offices Tuesday evening, several dozen people were seen waiting in line to vote, with wait times reaching an hour or more. Some had just moved and were registering at their new address for the first time, while others simply needed replacement or provisional ballots. Whittaker said another count would be conducted Friday, wherein any remaining outstanding ballots would be added to Tuesday’s totals. Iron County voters rejected a school bond proposal that would have enabled Iron County School District to issue a series of general obligation bonds totaling $92 million, to pay for the construction of two new elementary schools and various facility upgrades. The measure received just 41 percent support, with 59 percent voting against. Iron County voters also said no to Question 1 on the ballot, a nonbinding statewide measure that asked voters whether gasoline sales taxes should be raised 10 cents in order to help pay for education. The measure failed by a 2-to-1 margin statewide (66 percent to 34 percent). In Iron County, the nay votes were even higher, with 74 percent against and 26 percent in favor. Iron County residents joined with the rest of Utah’s District 2 in voting for incumbent Rep. Chris Stewart to retain his U.S. Congressional seat. They also voted to elect Republican Mitt Romney to succeed the retiring Sen. Orrin Hatch. Romney received 62.4 percent of the vote statewide and nearly 72 percent of Iron County’s votes. Stewart, who got 58 percent of the vote districtwide, received approximately 77 percent of Iron County’s votes. In statewide candidate elections involving Iron County, Republican incumbent and Cedar City resident Evan Vickers won re-election to his seat in Utah Senate District 28, holding off Democratic challenger Mark Chambers by a 79 percent to 21 percent margin. In Utah House District 71, incumbent Rep. Brad Last, a Republican, won re-election by defeating Democratic challenger Chuck Goode by a 78.2 percent to 21.8 percent margin. In a three-way race for Utah House District 72, Republican Rex Shipp won with 75.2 percent of the vote. Democrat Zeno Parry received 17 percent and Libertarian Party candidate Barry Short received 7.8 percent. In addition, the three propositions on Utah ballots all passed at the statewide level, even though a majority of Iron County voters rejected all three. 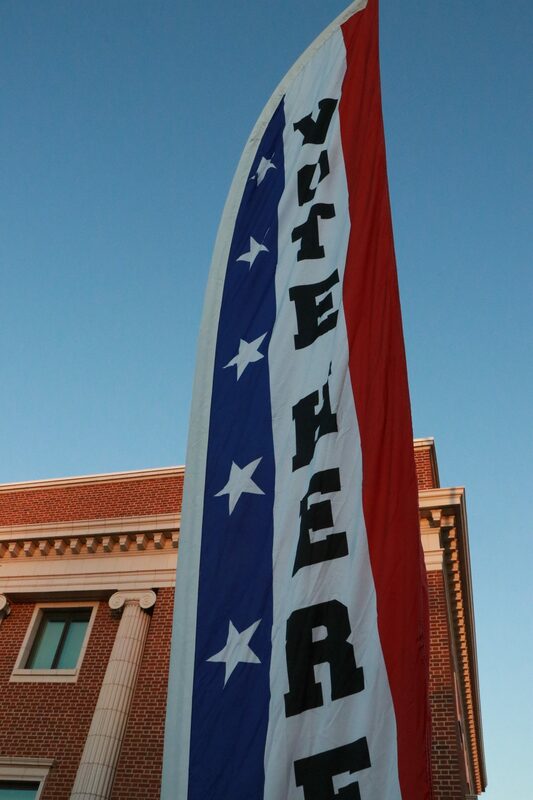 With regard to the three Constitutional Amendments on the ballot, Iron County voters were mostly in line with the rest of the state in voting in favor of Amendments A and C and rejecting B. The only significant deviation from state results was slightly higher support for Amendment C in Iron County, with the state giving it 63 percent approval and 68 percent in Iron County. Incumbent Iron County Commissioner Mike Bleak, who fended off a challenge from Fred Rowley in the GOP primary in June, was re-elected Tuesday, along with incumbent County Auditor Dan Jessen and incumbent County Clerk Jon Whittaker, who had not faced opposition. Joining Bleak on the County Commission will be Cedar City Councilman Paul Cozzens, who won Seat B on the commission by defeating three other candidates in the June primary. Additionally, Ken Carpenter will be the next Iron County Sheriff, and Chad Dotson will be Iron County Attorney, voters confirmed Tuesday. Both were unopposed on the November ballot after emerging victorious in the June primary. Iron County also had two school board seats on the ballot. Michelle Lambert won re-election in Precinct 4 unopposed. However, in Precinct 5, outgoing county commissioner Dale Brinkerhoff unseated incumbent school board member Harold Haynie. Brinkerhoff received 1,067 votes to Haynie’s 965, according to Tuesday’s unofficial results. Finally, all of the judges up for retention on this year’s ballot will remain in their respective positions. Each received the support of at least 80 percent of Iron County voters, according to Tuesday’s results. Glad the .10 cents a gallon school tax failed…as it is my property taxes went up $300 a year just for the school funds, and this after the schools get 1/2 of my $2,200 property tax as it is!….Sitla needs to sell “OUR” ( Not your land Sitla employees, you work for us ) Land for a hell of a lot more that they do now, what are you going to do years from now when you’ve sold off “OUR” land? Make more out of thin air? As a parent of school age children as well as a tax payer, I understand the difficulties of paying more taxes on an already tight budget, as well as witnessing the majority of my children’s teachers being committed to providing the best education possible to the future of our country with extremely little resources. This may not be the most popular suggestion, but it’s a thought… Why not regulate medical marijuana like the state liquor store and allocate part of the taxes collected for education?